There's a certain delight in being deceived by an artist you love, as long as truth comes out of the con. Contradictory? 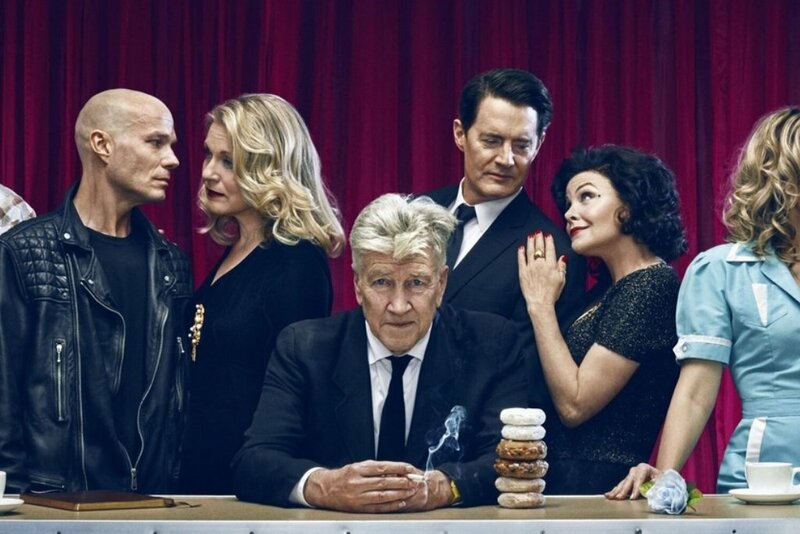 I'd argue that Lynch and his co-creator Mark Frost are all about such seemingly irreconcilable oppositions, setting up extreme collisions (between their narrative and non-narrative impulses, especially) that result in some kind of transcendent intangible—though one, of course, that varies from viewer to viewer in terms of its effectiveness and resonance. The conventions that tied him to formal network TV drama have been absolutely brutalised here. The first handful of episodes, in particular, felt like a deliberate line in the sand, like a direct challenge to keep watching. The violence was ugly. The scenes were all twice as long as they needed to be. There was a talking tree, an empty box. There was a long, glitchy sequence in which Dale Cooper interacted with an eyeless woman in space, with a soundtrack that made it feel like you were covered in insects. It was the most purely Lynchian sequence of an incredibly Lynchian career, and you can only imagine how hard executives would have baulked if it had been presented to them back in the ABC days. The return of David Lynch and Mark Frost’s “Twin Peaks” is nothing short of one of television’s most bold, brave, and fascinating shows in a long time. Seemingly unrestrained and constantly breaking expectations, the show has been met, for damn good reason, with near universal critical acclaim. “Twin Peaks” has always shown that there is beauty in the simplest of things. Sometimes that can come from recognizing that growing older doesn’t mean losing our touch. If anything, we can age like fine wine…or a damn fine cup of coffee with a slice of cherry pie on the side. This isn’t a suddenly plot-heavy hour of TV. It’s just plot-heavy for Twin Peaks. It’s still weird and wonderful and warped, with all sorts of strange little bits and pieces around its edges. It’s still the show where characters will have a relatively straightforward meeting — about the identity of that headless corpse found way back in the premiere — while a dark, strange figure shambles along in the background and the soundtrack burbles ominously. Twin Peaks only works if it feels like a normal TV show that’s being haunted by something hard to explain. Of all of the hours of this miniseries, “Part 7” comes the closest to achieving that ideal. If a narrative as oblique and outright experimental as The Return has an emotional center, Janey-E is it. On one level, her confusion with Dougie’s grueling, love-child-of–David Byrne–and-E.T. act is perfectly reasonable; after years of marriage it’s not wrong to assume that your partner is toilet-trained. But the fact that Janey-E isn’t more alarmed by Dougie’s behavior is where things start to get interesting. Watts isn’t just excelling in her task playing straight woman to a candy-colored clown. Her performance creates an entire context for what the Joneses’ marriage was like before Dale Cooper was reborn in Dougie’s body, and the mix of irritation, heartbreak, indifference, and devotion she’s shown in the face of her husband’s bizarre condition feels a lot like the texture of real, everyday monogamy. And the way that Janey-E has made a weary peace with the situation while trying to focus on practical matters — like the money-with-interest their household still owes a group of loan sharks — serves as a mirror of sorts for The Return’s audience. At this point you’re either used to Dougie or still hoping he’ll change — but either way, it’s out of your hands.